There are many forms of contingency theory. In a general sense, contingency theories are a class of behavioral theory that contend that there is no one best way of organizing / leading and that an organizational / leadership style that is effective in some situations may not be successful in others (Fiedler, 1964). In other words: The optimal organization / leadership style is contingent upon various internal and external constraints. Four important ideas of Contingency Theory are: 1. There is no universal or one best way to manage 2. The design of an organization and its subsystems must 'fit' with the environment 3. Effective organizations not only have a proper 'fit' with the environment but also between its subsystems 4. The needs of an organization are better satisfied when it is properly designed and the management style is appropriate both to the tasks undertaken and the nature of the work group. There are also contingency theories that relate to decision making (Vroom and Yetton, 1973). According to these models, the effectiveness of a decision procedure depends upon a number of aspects of the situation: the importance of the decision quality and acceptance; the amount of relevant information possessed by the leader and subordinates; the likelihood that subordinates will accept an autocratic decision or cooperate in trying to make a good decision if allowed to participate; the amount of disagreement among subordinates with respect to their preferred alternatives. It is worth noting that since the mid 1980s contingency theory has been fairly dead within the originating field of organization theory. Apart from Lex Donaldson, professor at Australian Graduate School of Management, and a few other people, nobody within the field attempt to contribute to a further development of contingency theory, foremost because of what can be perceived as the lacking explanatory power of the theory. Source: Weill, Peter; Olson, Marorethe H. (1989). An Assessment of the Contingency Theory of Management Information Systems. Journal of Management Information Systems, 6(1), 63. Burns, T., Stalker, G.M. (1961). The Management of Innovation. London: Tavistock. Fiedler, F. E. (1964). A Contingency Model of Leadership Effectiveness. Advances in Experimental Social Psychology (Vol.1). 149-190. New York: Academic Press. Kast, F., Rosenzweig, J. (1973). Contingency Views of Organization and Management. Chicago: Science Research Associates. Lawrence, P. R., Lorsch, J. W. (1967) . Organization and Environment. Cambridge, MA: Harvard University Press. Otley, D. T. 1980. The contingency theory of management accounting: Achievement and prognosis. Accounting, Organizations and Society 5(4): 413-428. Heeks, Richard (2002) Information Systems and Developing Countries: Failure, Success and Local Improvisations, The Information Society, 18:2, pp. 101-112. Andres, Hayward P.; Zmud, Robert W. (2001/2002). A Contingency Approach to Software Project Coordination. Journal of Management Information Systems, 18(3), 41-71. Andrew D. Luzi; Kenneth D. MacKenzie (1982). An Experimental Study of Performance Information Systems. Management Science (pre-1986), 28(3), 243-259. Arinzn, Bay. (1991). A Contingency Model of DSS Development Methodology. Journal of Management Information Systems, 8(1), 149-166. Barki, Henri; Rivard, Suzanne; Talbot, Jean (2001). An Integrative Contingency Model of Software Project Risk Management. Journal of Management Information Systems, 17(4), 37-69. Becerra-Fernandez, Irma; Sabherwal, Rajiv. (2001). Organization Knowledge Management: A Contingency Perspective. Journal of Management Information Systems, 18(1), 23-55. Belanger, France, Collins, Rosann Webb, Cheney, Paul H. (2001). Technology Requirements and Work Group Communication for Telecommuters. Information Systems Research, 12(2), 155-176. Blanton, J Ellis, Watson, Hugh J, Moody, Janette (1992). Toward a better understanding of information technology organization: A comparative case study. MIS Quarterly, 16(4), 531-555. Brown, Carol V.; Bostrom, Robert P. (1994). Organization designs for the management of end-user computing: Reexamining the contingencies. Journal of Management Information Systems, 10(4), 183-211. Chang, Ruey-Dang, Chang, Yeun-Wen, Paper, David (2003). The effect of task uncertainty, decentralization and AIS characteristics on the performance of AIS: an empirical case in Taiwan. Information & Management, 40(7), 691-713. Cheon, Myun J.; Grover, Varun; Teng, James T.C. (1995). Theoretical perspectives on the outsourcing of information systems. Journal of Information Technology, 10(4), 209-219. Chin, Wynne W.; Marcolin, Barbara L.; Newsted, Peter R. (2003). A Partial Least Squares Latent Variable Modeling Approach for Measuring Interaction Effects: Results from a Monte Carlo Simulation Study and an Electronic-Mail Emotion/Adoption Study. Information Systems Research, 14(2), 189-217. Croteau, Anne-Marie, Raymond, Louis (2004). Performance outcomes of strategic and IT competencies alignment. Journal of Information Technology, 19(3), 178-190. Danziger, James N. (1979). Technology and Productivity: A Contingency Analysis of Computers in Local Government. Administration & Society, 11(2), 144-171. Devaraj, Sarv, Kohli, Rajiv (2000). Information technology payoff in the health-care industry: A longitudinal study. Journal of Management Information Systems, 16(4), 41-67. Edström, Anders (1977). User Influence and the Success of MIS Projects: A Contingency Approach. Human Relations, 30(7), 589-607. Fiedler, Kirk Dean, Grover, Varun, Teng, James T C. (1996). An empirically derived taxonomy of information technology structure and its relationship to organizational structure. Journal of Management Information Systems, 13(1), 9-34. Franz, Charles R. (1985). User Leadership in the Systems Development Life Cycle: A Contingency Model. Journal of Management Information Systems, 2 (2), 5. Galegher, Jolene; Kraut, Robert E. (1994). Computer-mediated Communication for Intellectual Teamwork: An Experiment in Group Writing. Information Systems Research, 5(2),110-138. Giaglis, George M.; Klein, Stefan; O'Keefe, Robert M. (2002). The role of intermediaries in electronic marketplaces: developing a contingency model. Information Systems Journal, 12(3), 231-246. Ginberg, Michael J. (1980). An Organizational Contingencies View of Accounting and Information Systems Implementation. Accounting, Organizations & Society, 5(4), 369-382. Goodhue, Dale L., Quillard, Judith A.,Rockart, John F. (1988). Managing The Data Resource: A Contingency Perspective. MIS Quarterly, 12(3), 372-382. Gordon, Lawrence A., Miller, Danny.A (1976). Contingency Framework for the Design of Accounting Information Systems. Accounting, Organizations & Society, 1(1), 59-70. Hardgrave, Bill C.; Wilson, Rick L. (1999). Toward a Contingency Model for Selecting an Information System Prototyping Strategy. Journal of Management Information Systems, 16(2), 113-136. Huber, George (1982). Organizational Information Systems: Determinants of Their Performance and Behavior. Management Science, 28(2), 138-155. Jae-Nam Lee; Miranda, Shaila M.; Yong-Mi Kim (2004). IT Outsourcing Strategies: Universalistic, Contingency, and Configurational Explanations of Success. Information Systems Research, 15(2), 110-131. Khazanchi, Deepak. (2005). Information Technology (IT) Appropriateness: The Contingency Theory of "Fit" and IT Implementation in Small and Medium Enterprises. Journal of Computer Information Systems, 45(3), 88-95. Kyu Kim, K.; Umanath, Narayan S. (1992/1993). Structure and Perceived Effectiveness of Software Development Subunits: A Task Contingency Analysis. Journal of Management Information Systems, 9(3), 157-181. Lai, V.S. (1999). A Contingency Examination of CASE-task Fit on Software Developer's Performance. European Journal of Information Systems, 8(1), 27-49. Lee, Choong C., Grover, Varun (1999/2000). Exploring mediation between environmental and structural attributes: The penetration of communication technologies in manufacturing organizations. Journal of Management Information Systems, 16(3),187-217. Lin, Winston T.; Shao, Benjamin B.M.(2000). The relationship between user participation and system success: a simultaneous contingency approach. Information & Management, 37(6), 283-295. Markus, M. Lynne; Bjørn-Andersen, Niels. (1987). Power Over Users: Its Exercise by System Professionals. Communications of the ACM, 30(6), 498-504. McKeen, James D. Guimaraes, Tor, Wetherbe, James C. (1994). The relationship between user participation and user satisfaction: an investigation of four contingency factors. MIS Quarterly, 18(4), 427-451. McKeen, James D., Guimaraes, Tor (1997). Successful strategies for user participation in systems development. Journal of Management Information Systems, 14(2), 133-150. Nidumolu, Sarma R. (1996). A Comparison of the Structural Contingency and Risk-based Perspectives on Coordination in Software-development Projects. Journal of Management Information Systems, 13(2), 77-113. Panagiotis Kanellis, Ray J Paul (2005). User Behaving Badly: Phenomena and Paradoxes from an Investigation into Information Systems Misfit. Journal of Organizational and End User Computing17(2), 64-91. Pinsonneault, Alain; Heppel, Nelson. 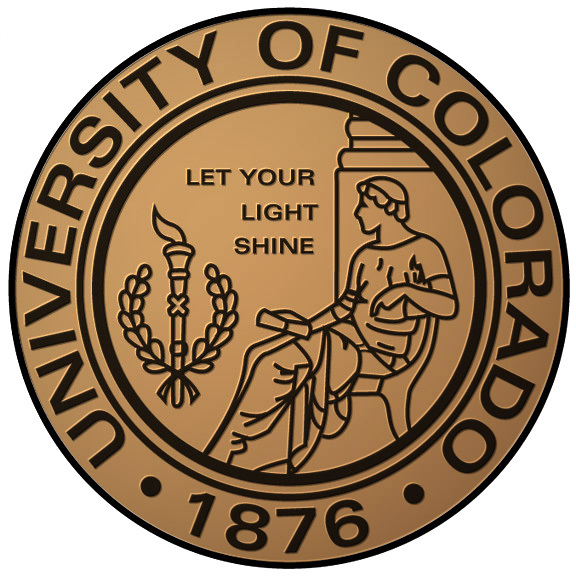 (1997/1998). Anonymity in Group Support Systems Research: A New Conceptualization, Measure, and Contingency Framework. Journal of Management Information Systems, 14(3), 89-108. Premkumar, G, King, William R. (1992). An empirical assessment of information systems planning and the role of information systems in organizations. Journal of Management Information Systems, 9(2), 99-125. Ratbe, Dina, King,William R., Kim, Young-Gul (1999/2000). The fit between project characteristics and application development methodologies: A contingency approach. The Journal of Computer Information Systems, 40(2), 26-33. Raymond, Louis (1990). Organizational Context and Information Systems Success: A Contingency Approach. Journal of Management Information Systems, 6(4), 5-20. Sabherwal, Rajiv; King, William R.(1992). Decision Processes for Developing Strategic Applications of Information Systems: A Contingency Approach. Decision Sciences, 23(4), 917-943. Schonberger, Richard J. (1980). MIS Design: A Contingency Approach. MIS Quarterly, 4(1), 13-20. Seliem, Ahmed A.M.; Ashour, Ahmed S.; Khalil, Omar E.M.; Millar, Stephen J. (2003). The Relationship of Some Organizational Factors to Information Systems Effectiveness: A Contingency Analysis of Egyptian Data. Journal of Global Information Management, 11(1), 40-71. Sugumaran, Vijayan, Arogyaswamy, Bernard (2003-2004). Measuring IT Performance: "Contingency" Variables and Value Modes. Journal of Computer Information Systems, 44(2), 79-86. Teo, Thompson S.H. (2003). A contingency perspective on Internet adoption and competitive advantage. European Journal of Information Systems, 12(2), 78-92. Umanath, Narayan S. (2003). The concept of contingency beyond “It depends”: illustrations from IS research stream. Information & Management, 40(6), 551-562. Venkatraman, N. (1985/1986).Research on MIS Planning: Some Guidelines from Strategic Planning Research. Journal of Management Information Systems, 2(3), 65-77. Weill, Peter; Olson, Marorethe H. (1989). An Assessment of the Contingency Theory of Management Information Systems. Journal of Management Information Systems, 6(1), 59-85. Zhu, Zhichang (2002). Evaluating contingency approaches to information systems design. International Journal of Information Management, 22(5), 343-356. Zmud, R. W. 1982. Diffusion of modern software practices: Influence of centralization and formalization. Management Science (28): 1421-1431.
http://www.geocities.com/kstability/learning/management/contingency.html, description of contingency theory. This page was last edited on 12 November 2014, at 20:18.